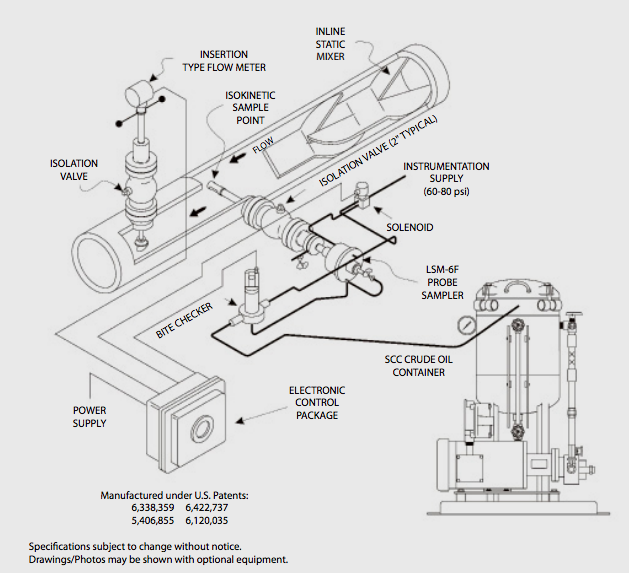 Welker Automatic Sampling and Spot Sampling Systems. Eastern Energy Services Pte Ltd is the local representative for Welker Inc, formerly known as Welker Engineering. Cooperating with Welker, we have been supplying complete solutions for, crude oil, hydrocarbon sampling and natural gas sampling. Local service and engineering competence has always been at the top of our list when it comes to natural gas an light liquid sampling solutions. 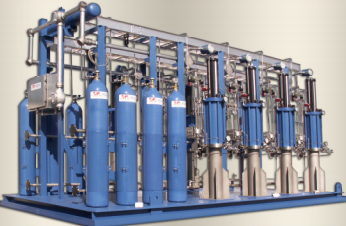 Our B.O.S.I.E.T licensed service team of qualified engineers have many years of experience with the selection, installation, start up, commissioning and maintenance of custody transfer sampling solutions for natural gas, LPG and specialty gases. Our team are always ready to serve the gas industry at short notice and coupled with our local support and products manufactured by Welker, we are able to provide a first class service to our local customers. 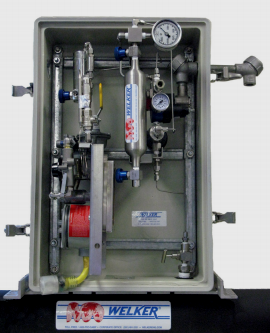 Welker design pipeline mounted natural gas and light petroleum fluid samplers. 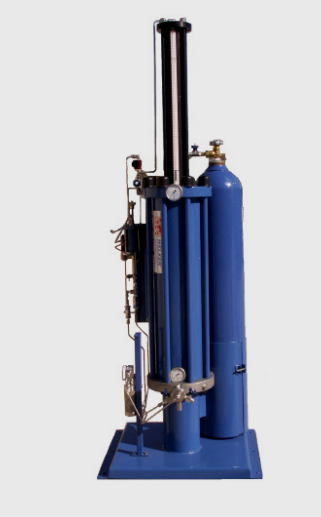 The simplicity of the design allows operators to remove insertion probes under pipeline pressure. 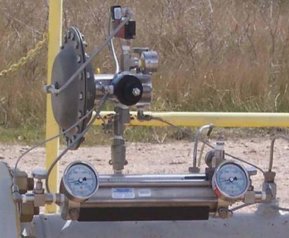 The Welker automatic sampling systems have an impressive install base around the globe including gas distribution pipelines, metering stations and custody transfer sampling applications that require easy to use, easy to install and totally reliable gas and light liquid sample systems . 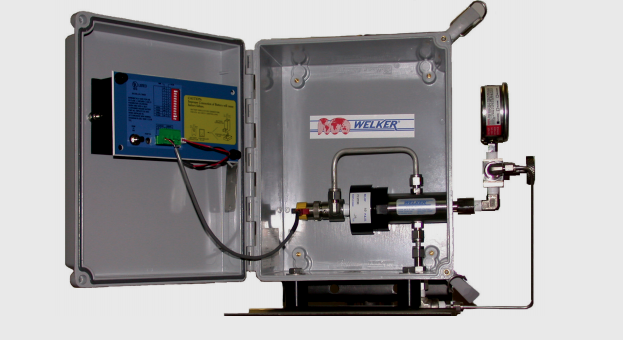 Welker's systems are well known for their totally reliable systems which collect quality samples with fiscal integrity. Configuring the samplers are simple to understand, operate and maintain . The electronic controller is customer selectable to determine the mode of operation. 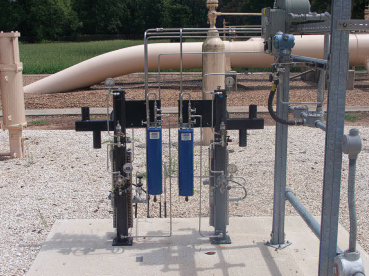 The Welker Composite sampling systems are designed to accurately and dependably sample light liquid hydrocarbons by combining thousands of individual samples into a composite sample of the flowing pipeline. 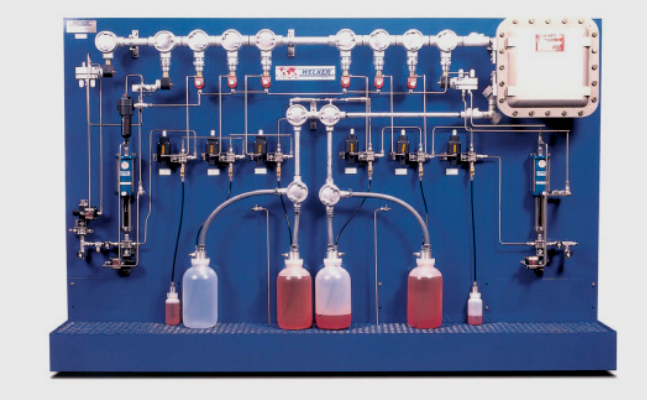 For slipstream applications choose a pipeline-mounted application and each is available with a wide variety of sample vessels, electronic control packages, multi-vessel designs, and an electro-hydraulic power supply. Welker can custom build a sample system to meet your specifications or help you by designing a system to meet the application. Welker do not only manufacturer the grab sampler but can supply a complete system, ready to be turned on and installed at site.